Interior Minister Sar Kheng has instructed provincial authorities to ensure that the five-day registration process for political parties and their candidates wishing to contest the sub-national election goes smoothly. In a letter dated March 4, Mr Kheng reminded all provincial governors that the registration of political parties and their candidates for elections in Phnom Penh, provinces, districts and communes will be held from tomorrow until Monday. Battambang provincial Governor Nguon Rattanak yesterday said he acknowledges the notification, noting that local authorities will offer assistance to political parties. Cambodian Youth Party president Pich Sros yesterday said his party is ready to register more than 1,000 candidates standing for council elections in 10 provinces. 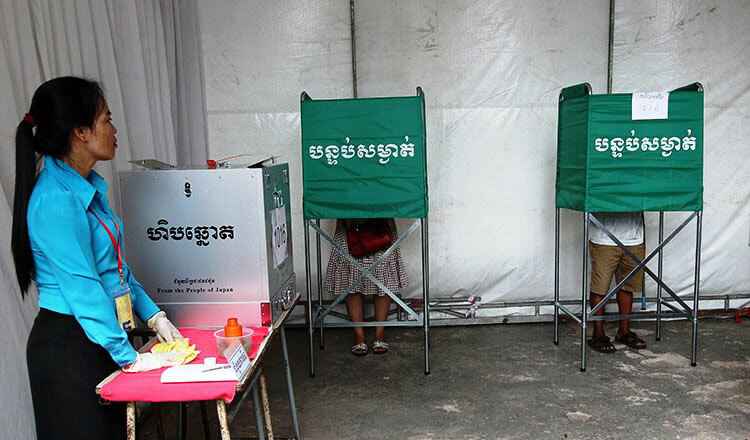 Cambodia will hold its third provincial, municipal and district council elections on May 26. All 11,572 commune councillors are expected to cast ballots. There are 559 seats up for grabs in Phnom Penh and the 24 provinces, while there are 3,555 seats up for grabs in all districts and cities across the Kingdom.